Listen up, Android users: It's time to start talking. Not for my benefit, mind you (although I do always enjoy a friendly conversation). No -- I'm talking about talking to your phone or tablet. Your Android device has a powerful voice control system just waiting for your command. It's called Android Voice Search -- and it's frequently updated with fresh functionality. I've spent many an hour jabbering into my phone to find interesting ways to make Voice Search work. I've felt like a bit of a nutjob at times (it's a good thing my wife knows me well enough not to have me committed), but I've managed to track down a meaty collection of cool commands -- many of which I never realized existed. 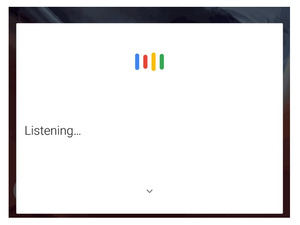 So grab your nearest gadget, clear your throat, and start a-speakin': Here are 150 things Android Voice Search can do for you now. "When will my package arrive?" "Show me my latest email"
"Show me email from Saul Hudson"
"Show me emails about spring break"
"Show me my photos from London"
"Show me my photos of sunsets"
"Show me pictures I took at concerts"
"Show me my documents on taxes"
"Show me my spreadsheets on income"
"Show me my screenshot files"
Install and configure development tools and create Android screen recordings.